From the 6th to the 21st April, Discover National Parks Fortnight will be championing all that is unique and special about the 15 National Parks around the UK. With breath-taking views and invigorating walks, they make the perfect holiday destinations for getting closer to the UK countryside. 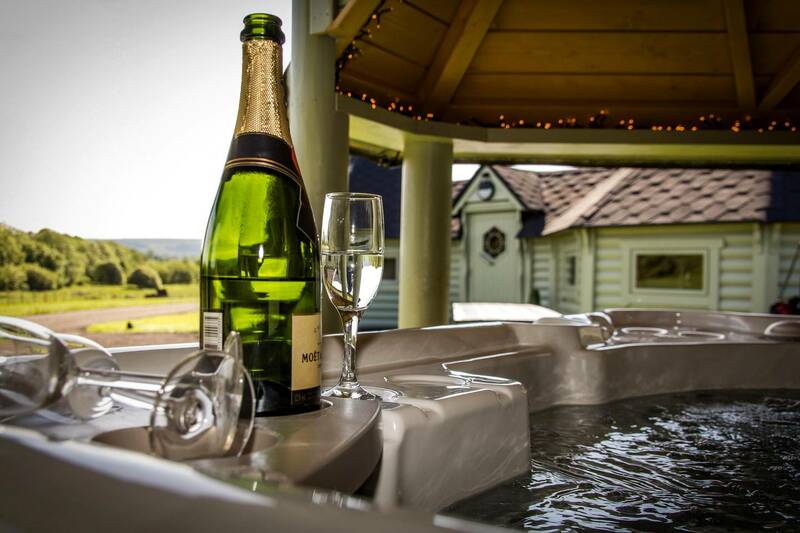 Today, we’re looking at unmissable holiday cottages with hot tubs for the perfect weekend away! Situated in South Wales, the Brecon Beacons are perfect for adventure with mountain ranges, rolling hills and man-made landscapes. The Brecon Beacons National Park is also an International Dark Sky Reserve, making it one of the best places in the world to gaze amongst the stars. If you like rustic hideaways, you’ll love the Millbrook! 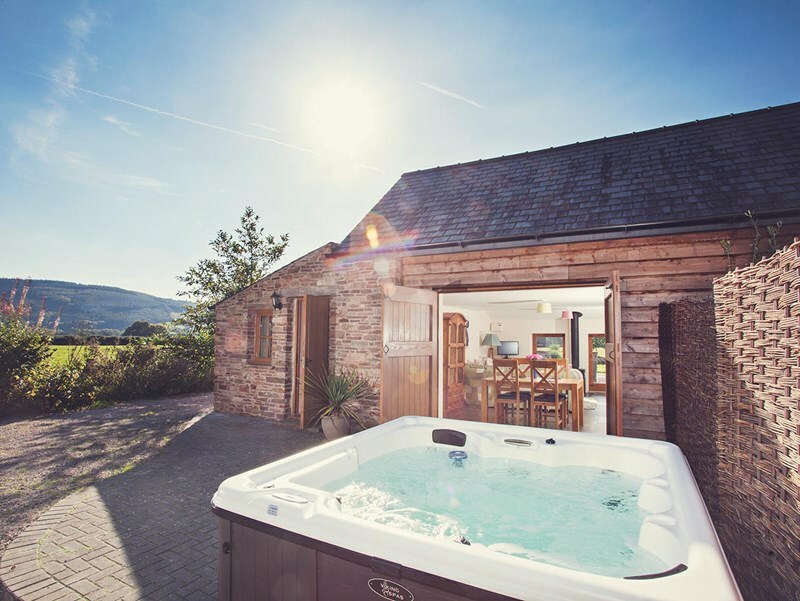 Located perfectly to experience the best that the Brecon Beacons have to offer, with a private hot tub ready for you after a full day of adventure. Spanning over both Norfolk and Suffolk, the Broads National Park is home to over 200km of navigable waterways, and over a quarter of the UK’s rarest wildlife – despite covering the smallest geographical area of all the National Parks. If you’re looking for something modern and luxurious, this stylish air BnB is perfect! 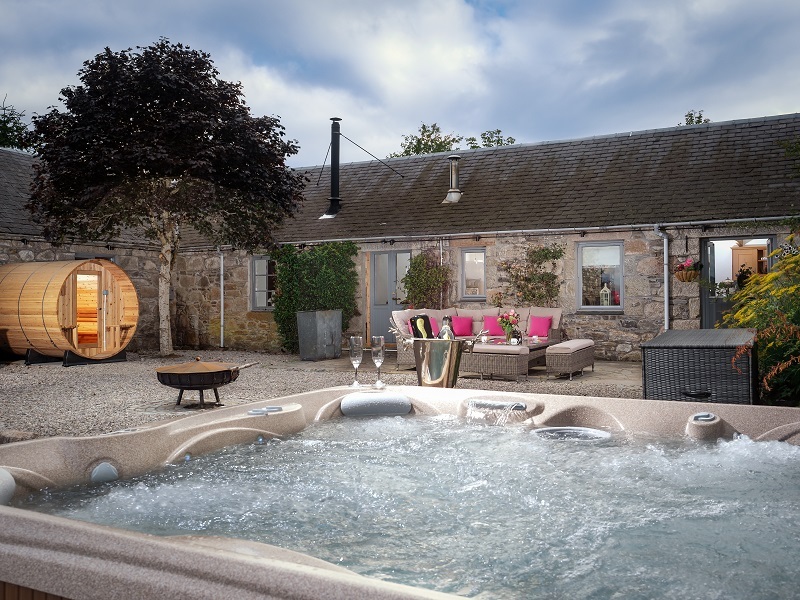 The Black Barn has been carefully designed to create a beautiful atmosphere, with a private hot tub for you to soak away your stresses. Home to the highest mountain range in the UK, this Scottish National Park has something for everyone! From walking, climbing, cycling and even skiing, the UK’s largest National Park is the perfect destination for seekers of adventure and natural beauty. If you’re looking for the ultimate in luxury, you will want for nothing at the Eagle’s Nest Lodge. Situated in the North-West of the Cairngorms National Park, you’ll be in the perfect location to experience everything the Park has to offer. 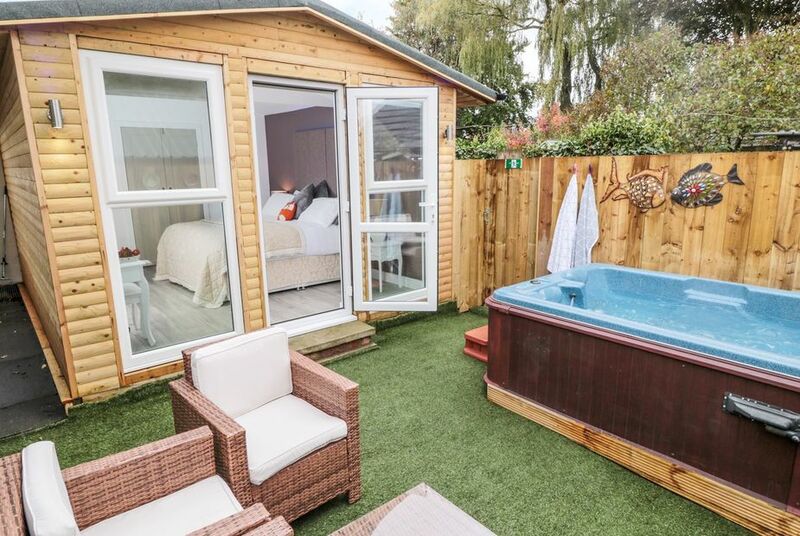 After a long day of exploring, you can have fun in the fully kitted-out games room, or unwind in a cedar barrel sauna and of course – a hot tub! With wild heather-covered moors, medieval villages and iconic ancient monuments, you can truly step back in time in the Dartmoor National Park. Perfect for exploring by foot or bike, you may even see the wild Dartmoor ponies! Situated just on the outskirts of Dartmoor, The Lakeview lodge at Indio Lake is beautifully light and airy. Indulge in Breakfast on the veranda or soak your stress away in your own private hot tub overlooking the idyllic lake. The sheer variety of what you can find in the Exmoor National Park is truly breath-taking! From moorlands to wooded valleys, and rolling hills to a beautiful coastline, there is so much to see. Keep an eye out for Red deer, wild Exmoor ponies and other wildlife. If you like the contemporary look of rustic chic, you’ll love the Granary at Wood Advent Farm! 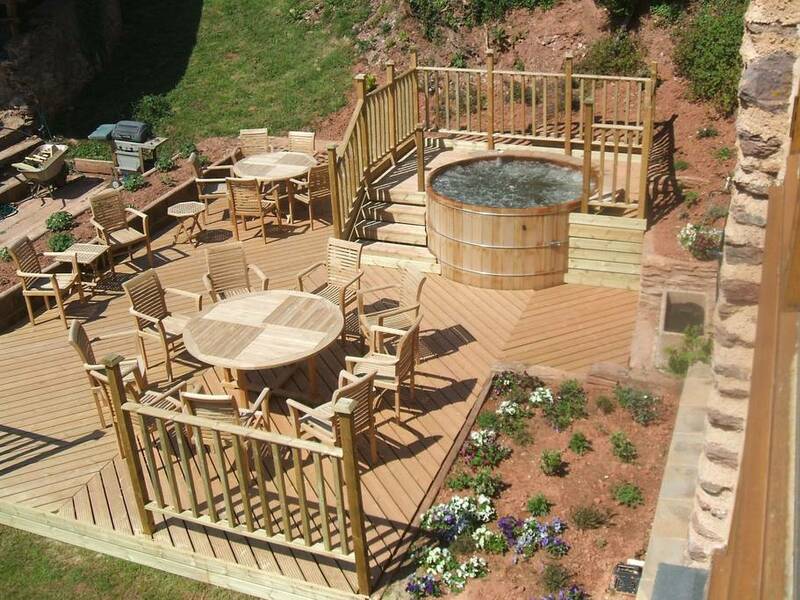 Being conveniently located to make the most of everything that the Exmoor National Park has to offer, you can come back to a traditional cedar Hot Tub to unwind after a long day. Aptly named for the beautiful glacial lakes, the Lake District National Park is also now a World Heritage Site! Having some of the highest mountains in England, the Lake District is perfect for scenic hikes. 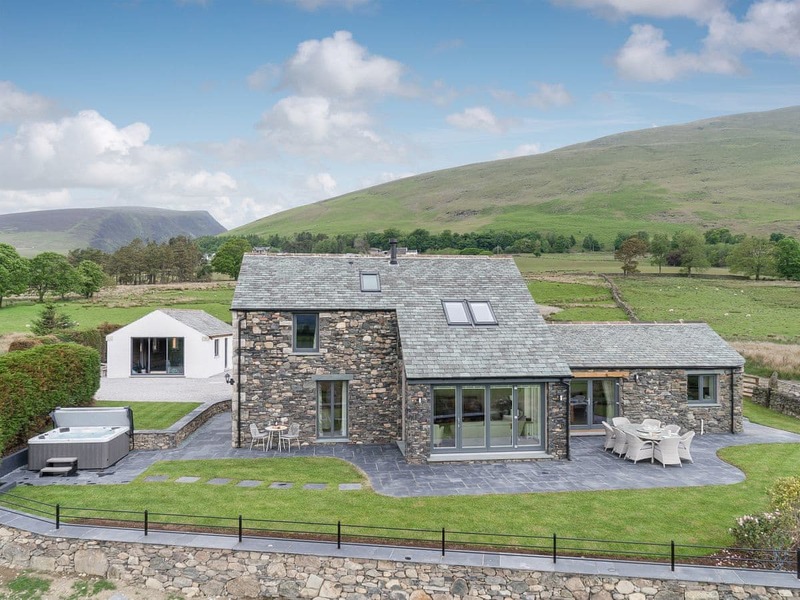 Nestled at the foot of one of the most prominent fells in the northern Lake District, the Hoggest near Keswick perfectly combines modern style with rustic charm in this beautifully converted farm building is perfect for panoramic views and endless exploration. One of Scotlands most-loved landscapes, this National Park is home to the largest lake in the UK. Featuring everything from dramatic mountain ranges, rolling hills, and beautiful forests, you can get to hiking, boating or climbing to enjoy what Loch Lomond & the Trossachs has to offer. If you’re looking for something different, The Kelty Cabins truly make you feel as though you are in a fairy-tale! The unique cabins are beautifully decorated, and while they may be cosy, they never compromise on comfort! Once a Royal hunting ground, the New Forest National Park is perfect for walking amongst the roaming ponies, cattle & sheep. Comprising of endless woodlands and wild heathlands, you can walk, cycle or horse-ride through the park to explore. The Stables in Sway is the ultimate destination for families and adventurers. Nestled in the heart of the New Forest National Park while only being a few minutes’ drive from the sea, you can experience everything that the New Forest has to offer. Of course, after a long day of adventuring and exploring, you can come back to a bubbly hot tub to unwind! Home to Hadrian’s Wall, the Northumberland National Park is home to England’s cleanest rivers, clearest air and darkest skies. The National Park is Europe’s largest area of protected night sky for immersive, uninterrupted stargazing. There’s still plenty to do in the daytime too! Explore the heather-covered moorland or visit the spectacular waterfalls and woodland. Right on the doorstep of the Northumberland National Park, Otterburn is home to some fabulous luxury lodges. 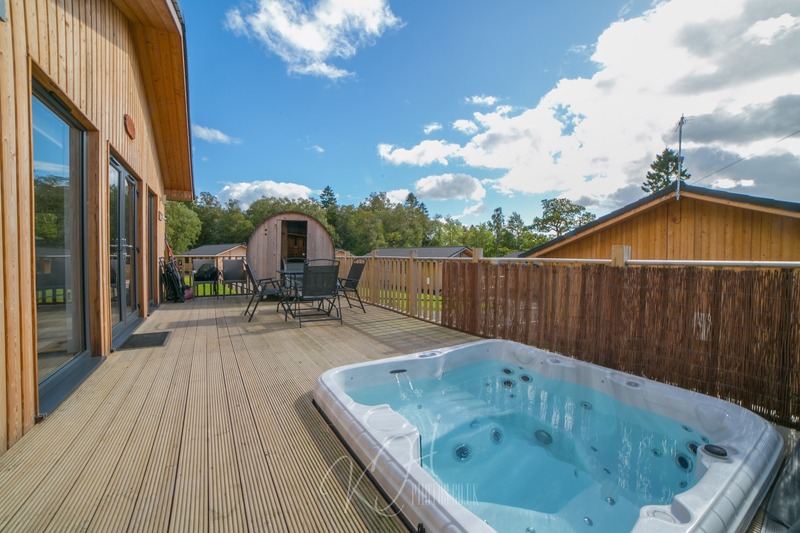 Indulge in a beautifully contemporary lodge and spoil yourself with the choice of both a hot tub and a barrel sauna! The North York Moors National Park combines so many stunning landscapes with heather moorland, woodland, steep hills and a dramatic coastline. Explore what the National Park has to offer, being perfect for walkers and cyclists. Lose yourself in the ancient history from the Iron age to the Industrial Revolution. 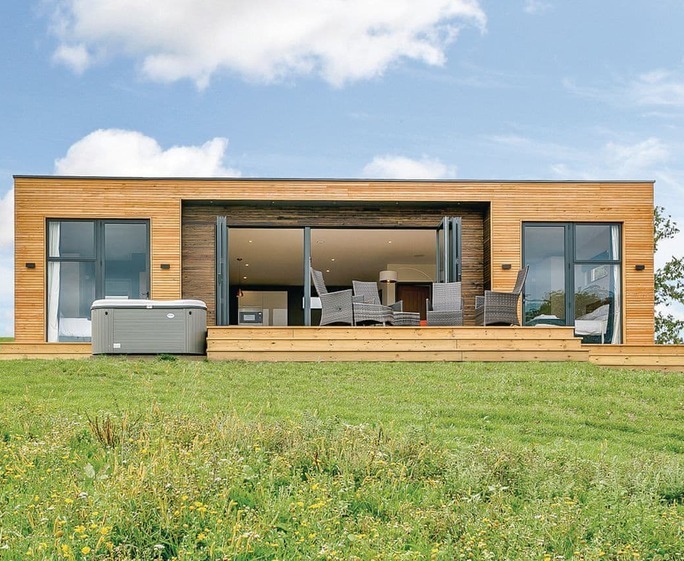 This beautiful cabin in Pickering is just South of the North York Moors and has a gorgeous modern feel to it. 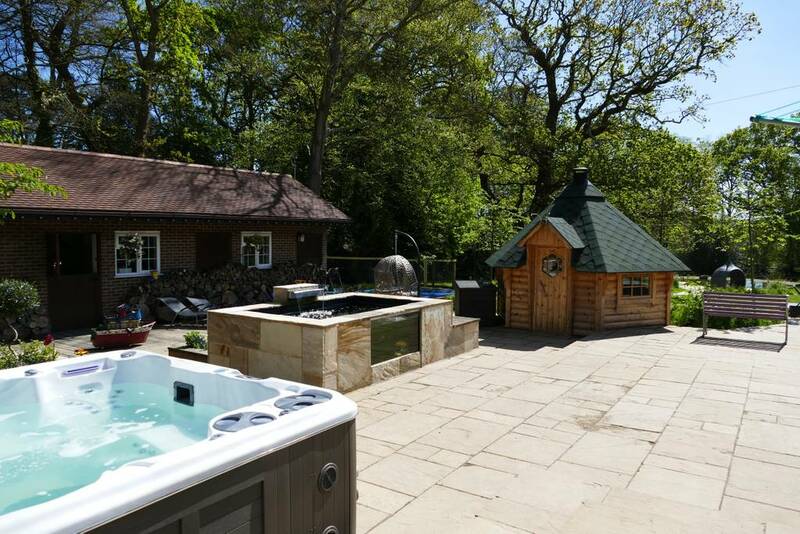 The cosy outdoor area is perfect for relaxing in with of course, a hot tub! If you’re looking for adventure, the Peak District National Park is the place to go. With stunning limestone valleys and rugged gritstone landscapes, discover world-class rock-climbing! If you’re looking for something a little more laid-back, you can explore the rocky moorlands and limestone dales, or travel back in time through one of the magnificent historic stately homes. 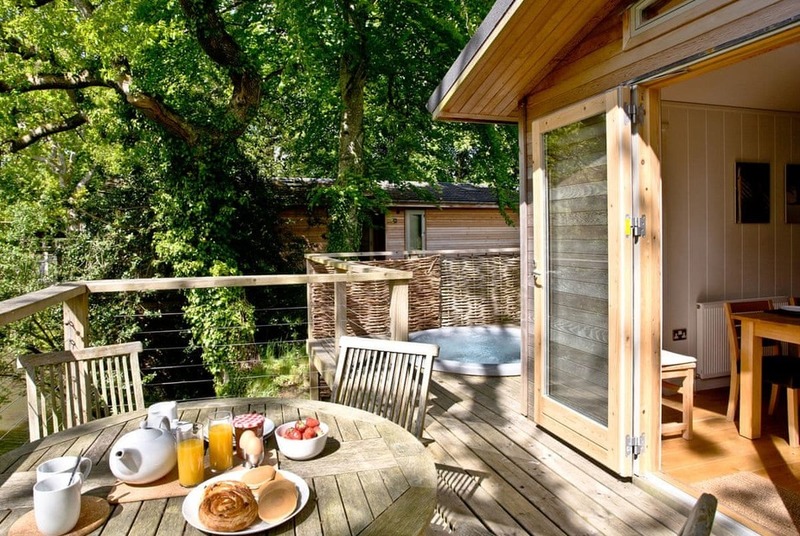 Idyllic lodges set in tranquil forests make the perfect setting for unwinding in the Peak District. Darwin Forest Spa Lodges feature discreetly-positioned Hot Tubs on your private lodge veranda. The UK’s only fully coastal National Park, you have 300km of coast pathways to explore! With beautiful sandy beaches, limestone cliffs and volcanic headlands, there is plenty to discover. Look out for the incredible marine wildlife including seals, dolphins and basking sharks! 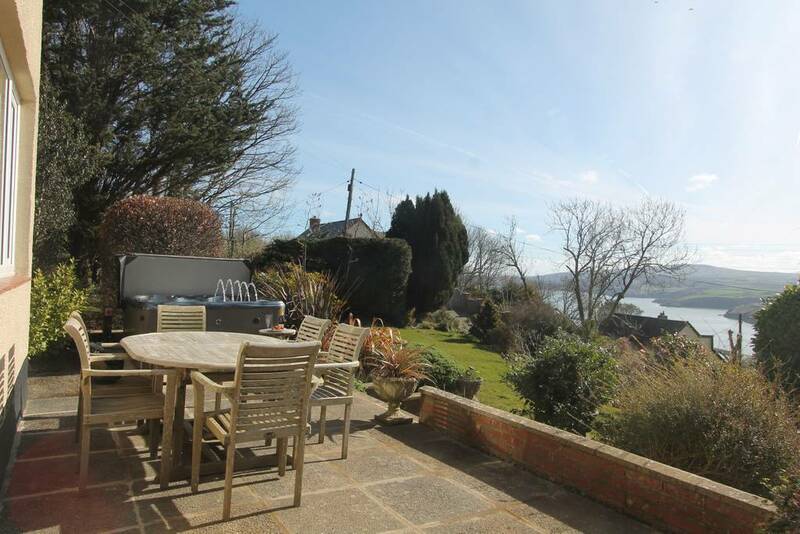 If you like soaking in your hot tub with a view of the sea, this is the perfect place for you! Feeling like a home away from home, this fully-equipped Airbnb has plenty for children and adults to do. Named after the largest mountain in Wales, this picturesque National Park is perfect for hill-walking, mountain biking or riding the Snowdon Mountain Railway. With 3 estuaries and 23 miles of coastline, its no surprise that water sports are a popular attraction in the Park! If you’re looking for a stunning seaside retreat with breath-taking sea-views and stylish décor, you need to book this cottage now! 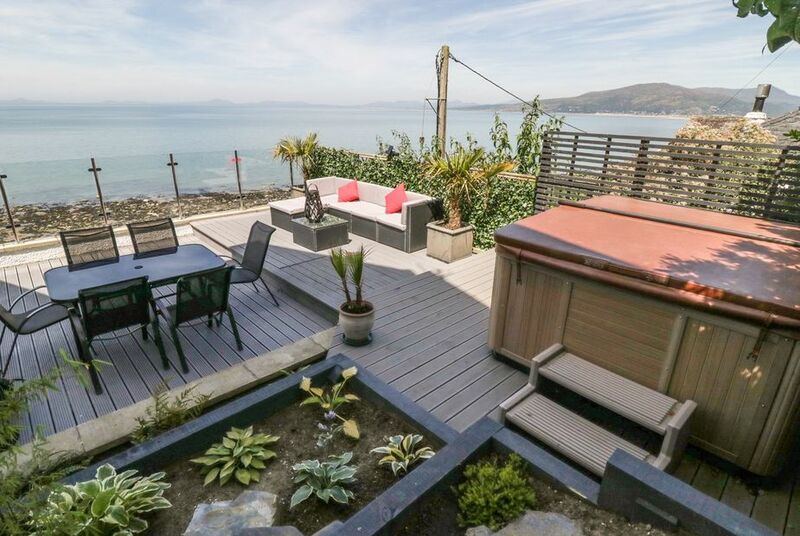 An expertly-landscaped decking area with glass fencing means that you can slip into the bubbling hot tub and look out at the endless sea views. Perfection! With stunning panoramic views, the South Downs National Park is 100 miles of truly inspirational beauty. With an iconic chalk cliff coastline, as well as rolling hills and grasslands, you can walk, cycle or horse-ride throughout the park to experience everything the South Downs have to offer. With views of the rolling South Downs hills, the Hill View Lodges at Swanborough Lakes are in the perfect place to experience all of what the South Downs National Park can offer. With sleek and modern décor, you can come back to a comfortable place to rest and unwind after a long day of exploring. Being rich in farming heritage, the Yorkshire Dales feature majestic rolling hills, traditional field barns and iconic drystone walls. Explore everything that the Yorkshire Dales has to offer with extensive footpaths and bridleways. Catering to every ability, there are gentle strolls available all the way up to a 24-mile, 12-hour hike around the Three Peaks. 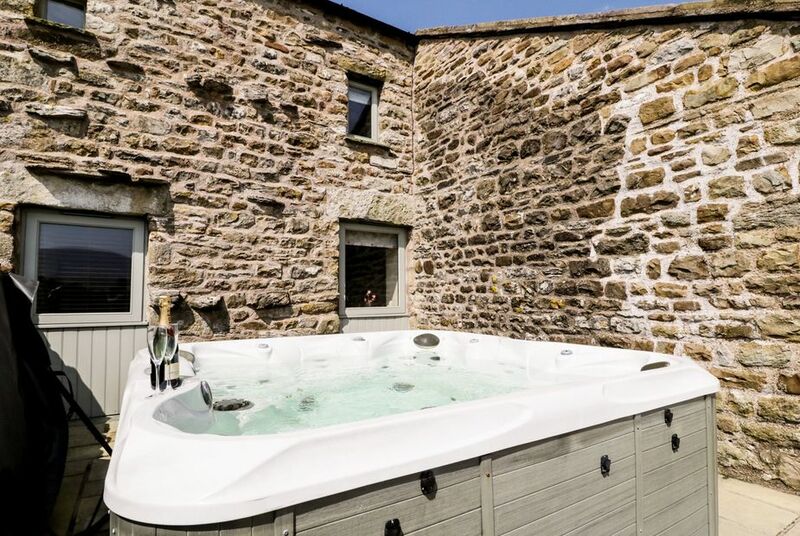 Located on a working farm within the Yorkshire Dales National Park, the Chapel-le-Dale is perfect for large families and groups of friends, sleeping up to 13 people. With bags of character and charm set within a beautifully modern setting, this cottage combines the very best of the past and the present. Do you let out Holiday Homes and Parks? 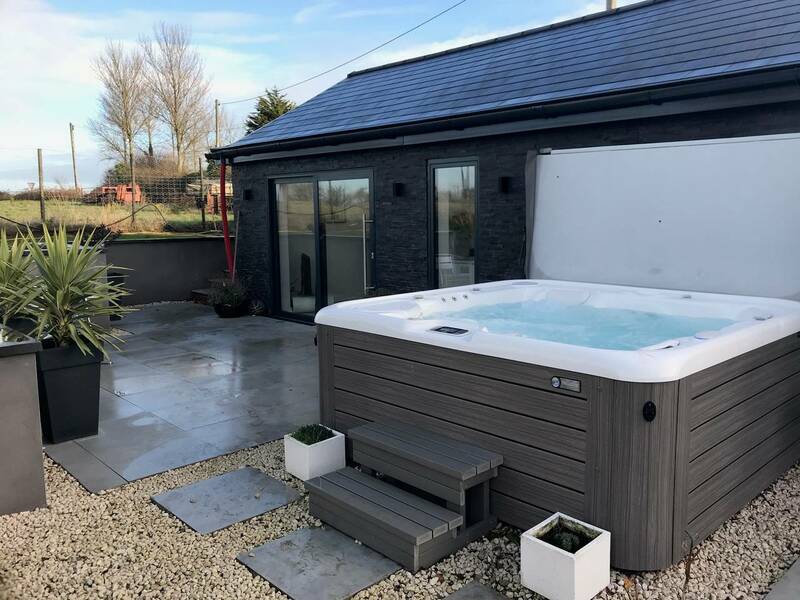 If you have your own holiday park or cottage, having a hot tub can be a major selling feature, and with their popularity only increasing, they’re a sound investment into your holiday home or park. Did you know that you can only use hot tubs that have passed commercial regulations? While this may narrow your choice, there really is no need to look elsewhere! The Coast Spas Regency Baroness 30 is a favourite for our clients with holiday homes, parks and hotels. 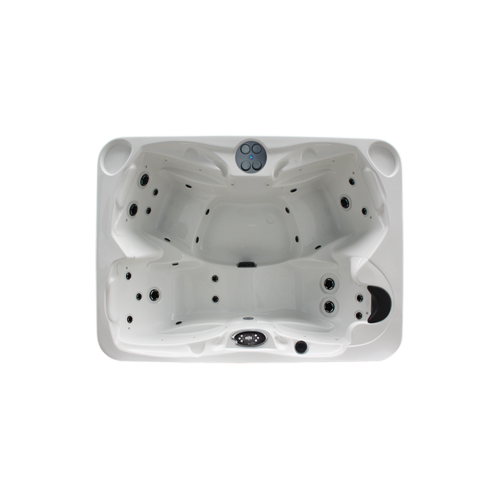 This is partly because of its compact design and beautiful aesthetics, but the main selling feature with not just this model, but all the Coast Spas range we offer, is that they adhere to certain public health codes and regulations for Hot Tubs in a commercial application, called the HSG282 compliance rules. 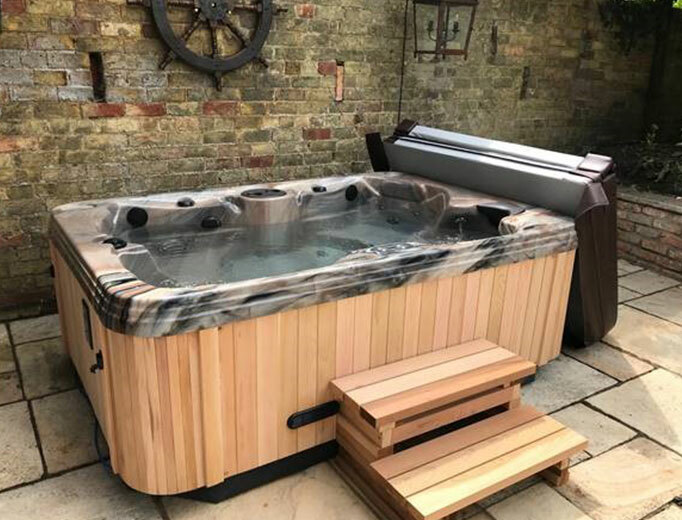 It is important that if you are installing a hot tub in your property, lodge or hotel for public use, you understand the importance of clean water and the maintenance aspects with a hot tub. You wouldn’t be happy to bathe in a stranger’s bathwater, so why would your tenants? One of the best features of a Coast Spas Hot Tub is the filtration. Conventional filtration usually has the filter sitting in the water with the bather – meaning you’re sitting with all the hair, body fats, oils, dead skin cells and other unpleasant things get stuck! Ew! While it may initially be the cheaper option, you will end up paying more in the long run with more chemical consumption, water changes and ultimately dirty water that does not look appealing or hygienic. With Coast Spas, the filter sits completely outside of the bathing area which means when it is removed for cleaning, it does not contaminate the spa water and consumes less chemicals. This means less maintenance, so you can concentrate on the things that matter instead of looking after your Hot Tub constantly! For more information on Coast Spas’ hydro-cyclonic filtration, watch their exclusive video below! This filtration system features on the Baroness meaning with the help of your chemicals you can rest assured your water is safe and clean for people to use all year round. 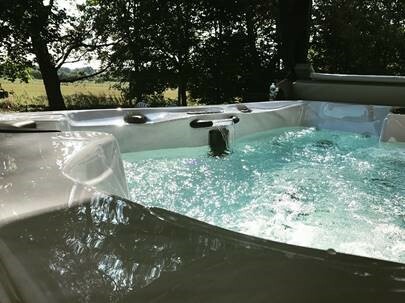 For more information or advice on Hot Tubs in a holiday let, and the HSG282 compliance rules feel free to give you a call and we would be happy to discuss. The baroness comes with 30 hydrotherapy jets that are designed to give you the most effective massage. The Baroness also features hand moulded handrails for easy in and out access plus a waterfall handrail that not only looks fantastic but is practical, plus the sound of relaxing trickling water adds to the whole Spa experience that our customers find very therapeutic. We’ve included a handy little video with everything you need to know about the Baroness. 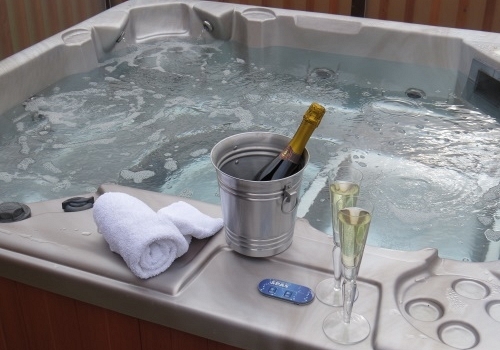 Choosing the right Hot Tub for your holiday let is a big decision, with many things to consider. If you have any questions or want more information, get in touch with us today or Download a Free Buyer’s Guide online! Discover National Parks Festival is all about celebrating our stunning British countryside, so whatever you’ve got planned for the 6th – 21st April 2019, make sure you go and experience what one of our iconic National Parks have to offer! What Are The Best Hot Tub features for 2019? Should You Buy an Ex-Display Hot Tub? Are Inflatable Hot Tubs Worth it?